A smart new construct in the Logan district of Brisbane has installed Bird Proofing as part of their building specifications. “Eliminating perching opportunities for birds to use the rafters as their home has become a must from an Occupational Health and Safety perspective,” says Mr Alwyn Lomas, Bird Proof installer for Bird Proofing Australia. “When goods are loaded in the truck at the transport depot the customers don’t want their goods arriving with bird droppings,” Lomas said. 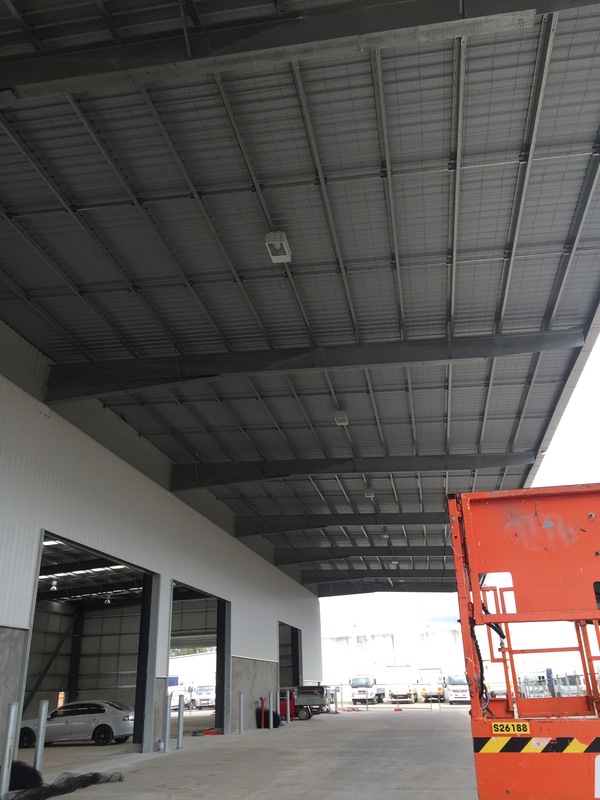 “It is a much wiser idea to install bird proofing during the construction phase than attempt to find the budget and work around a working facility when in operation”. Air Road transport is an Australian wide business transporting goods and services throughout Australia. Health and Safety is their concern so Bird Proofing has been installed to ensure they don’t encounter bird faeces as a problem.